THE ENCHANTED SONATA - Heather Dixon Wallwork. Published: October 2018 - The Wallworkshop. Clara Stahlbaum has her future perfectly planned: to marry the handsome pianist, Johann Kahler (ah!) and settle down to a life full of music. But all that changes on Christmas Eve, when Clara receives a mysterious and magical nutcracker. 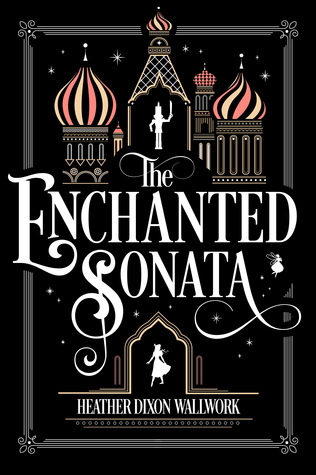 Whisked away to his world—an enchanted empire of beautiful palaces, fickle fairies, enormous rats, and a prince—Clara must face a magician who uses music as spells…and the future she thought she wanted. This novel had me at The Nutcracker and Pied Piper retelling. Literally screamed my name till I requested it. It looked wonderful. - "grasp her bearings"..... is grasp really the right word to use? - "tight" is used instead of "tightly", and it sounds so awkward. - "The melody prickled over him, sweat shining on his forehead, on his last bound to the piano, he stumbled and hit the ground at a clatter."...... The punctuation is totally off, and "his last bound" and "hit the ground at a clatter" is a jumbled mess. The writing style is also very childlike (there are a number of exclamation marks that purposefully seem to stop the sentences from being taken too seriously). But the same time, I think the childlike tone suits the story. It has this whimsical innocence - from the characters to the actual story, it sounds young. And that isn't necessarily a bad thing. ❝ Killing someone...it broke you inside, didn't it?" ❝ Music is interesting, isn't it?... Gently played, it can soothe one's soul. It can rouse one to fight in a battle; it can conjure memories of those lost. I could even make someone fall in love with you. Or plunge you into the depths of despair." The plot is fun. It's uncomplicated, and it's fast-paced. I also loved the snowy, fairytale setting and atmosphere and I truly commend Dixon for capturing that ethereal, storybook imagination of the original The Nutcracker tale. It sparkles from the very first page. Above all, however, I really enjoyed the pure loveliness of the novel. It's so sweet, so innocent...so easy. I love how warm-hearted it is. Yes, it could be darker, could be more mature, but sometimes you just need to know that the good guys will be good guys and that they'll defeat the bad guy in the end. Sometimes you just need a good-hearted little heroine who saves the day. This story gives us that assurance, and personally, I welcomed it. The characters are nothing outstanding. Clara is very sweet and easy to love, but she's the stereotype of the innocent, naive, angelic heroine. At least she isn't annoying, though. I liked her. I also really liked Alexi and Zizi - they're probably my favourites, although they are definitely flat characters. Nikolai I didn't like. His personality is so inconsistent; as the Nutcracker he's like a totally different person compared to the quiet, noble little human boy we see at the start. I never got a grasp on who he really was. It's like the author was never sure, either. I never shipped the romance. Honestly, it seems out of place. I would've preferred Nutcracker and Clara's relationship to remain one of friends, because of the childlike tone of the story and the age of their characters. A romance seems too old for the story. 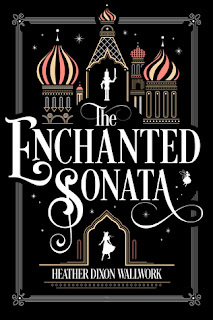 The Enchanted Sonata is a sweet and inventive tale full of heart. It's pure and lovable, although not particularly written well.